Arnold Böcklin – Brooklyn Museum 21.94. 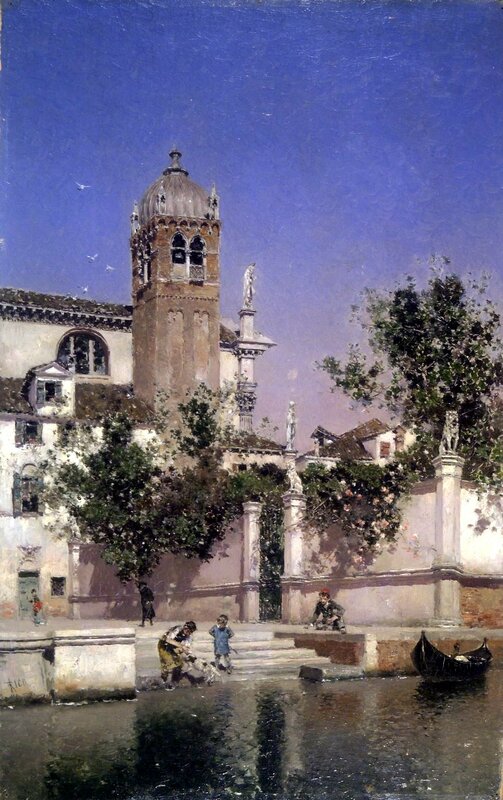 Title: Roman Landscape. Date: 1852. Materials: oil on canvas. Dimensions: 74.5 x 72.4 cm. Inscriptions: A. Böcklin fec (lower left). Nr. : 21.94. Source: https://www.brooklynmuseum.org/opencollection/objects/4389. I have changed the light and contrast of the original photo. 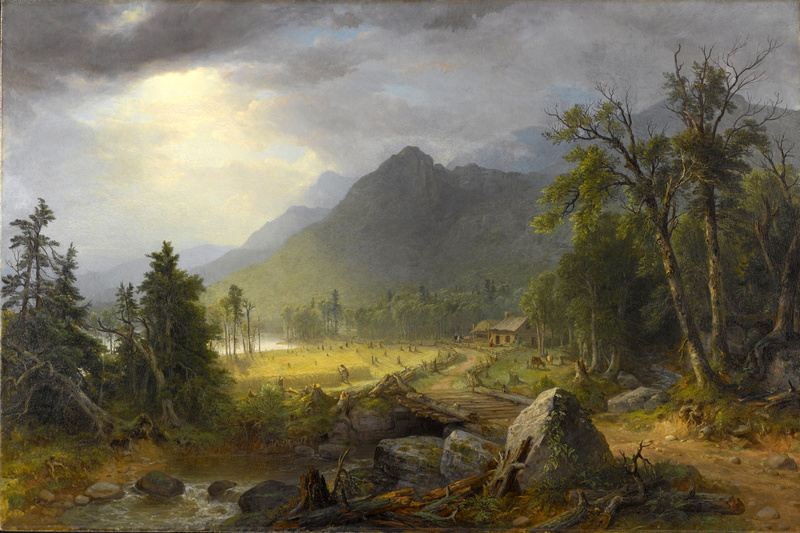 Asher Brown Durand – Brooklyn Museum 97.12. Title: The First Harvest in the Wilderness. Date: 1855. Materials: oil on canvas. Dimensions: 80.3 x 122 cm. Inscriptions: A B Durand, pt./1855. Nr. : 97.12. Source: https://commons.wikimedia.org/wiki/File:Asher_B._Durand_-_The_First_Harvest_in_the_Wilderness_-_Google_Art_Project.jpg. I have changed the contrast of the original photo. Albert Bierstadt – Brooklyn Museum 76.79. 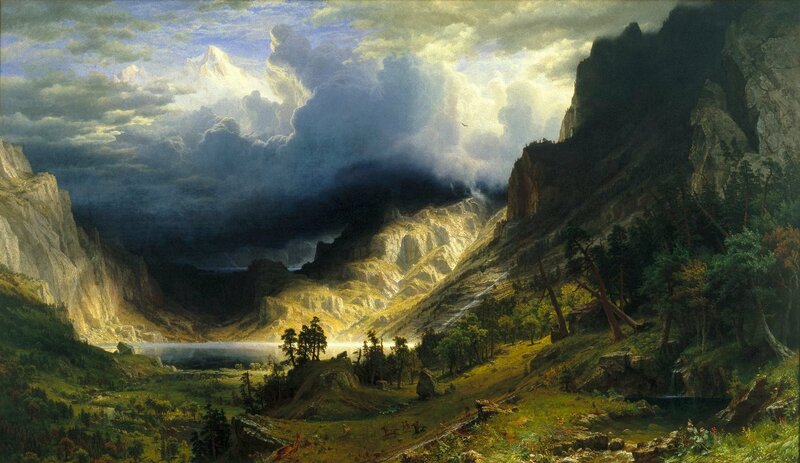 Title: A Storm in the Rocky Mountains, Mt. Rosalie. Date: 1866. Materials: oil on canvas. Dimensions: 210.8 x 361.3 cm. Inscriptions: ABierstadt / N.Y. 1866 (lower right). 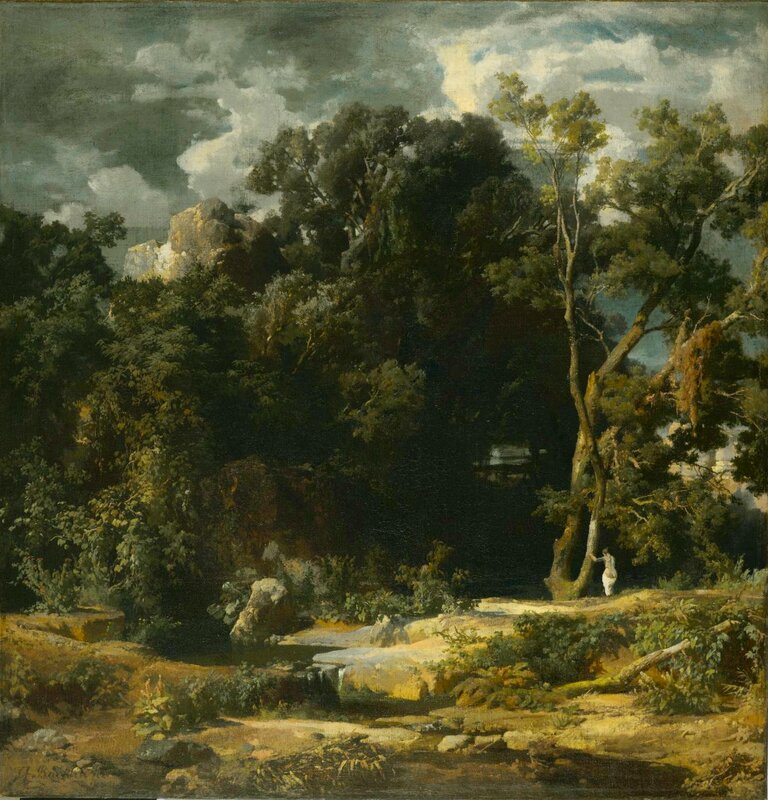 Source: http://www.brooklynmuseum.org/opencollection/objects/1558/A_Storm_in_the_Rocky_Mountains_Mt._Rosalie/. I have changed the light of the original photo. Materials: oil on canvas. Dimensions: 182.9 x 304.8 cm. Nr.: ? 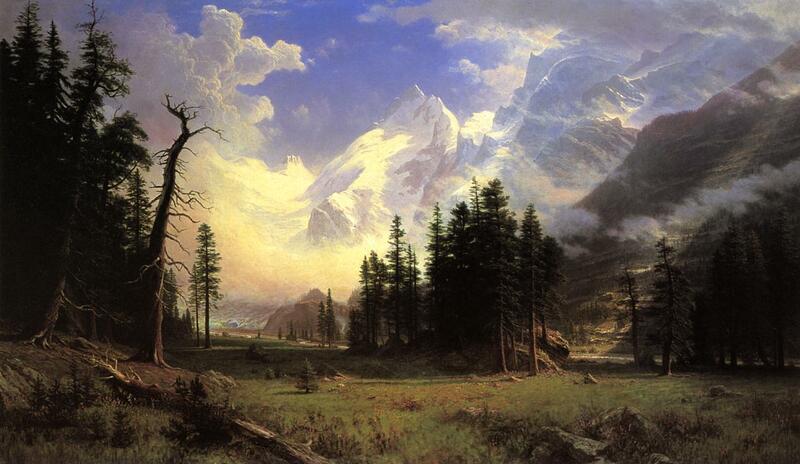 http://19thcenturyusapaint.blogspot.ro/2012/10/albert-bierstadt-ctd.html. Materials: oil on panel. Dimensions: 35.2 x 22.5 cm. Inscriptions: RICO (lower left). Nr. : 13.33. Source: www.brooklynmuseum.org/opencollection/objects/4349/A_Cana…. P.S. I have changed the light, contrast and colors of the original photo.